The first impression after unpacking the Pet Feedster was its size. The unit is large and this is good because it holds a lot of food, but on the other hand it might use too much room if you live in a small apartment. The other thing that caught my attention was its quality. The plastic the feeder is made from is solid ABS plastic and I can see it’s impact resistant as well. The assembling is simple, the unit itself comes pretty much assembled. 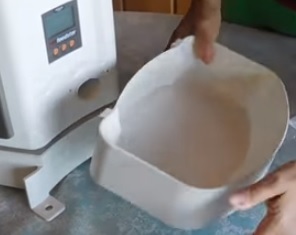 You only need to peel the plastic from the lid, attach the food tray, attach the chute protector to the feeder, and insert the Flex Feeder piece inside. 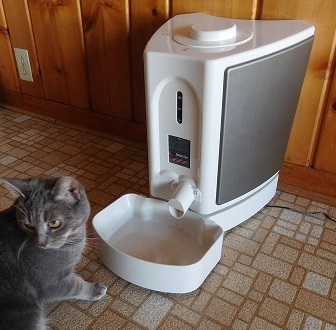 Finally you need to pour food in the feeder, plug it in and the Pet Feedster is ready to be programmed. 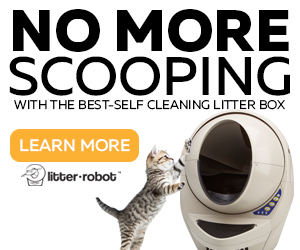 I must mention that the Pet Feedster has a battery compartment on the back. The batteries are not included with the unit and if you decide to use batteries they will work as power backup in case of power outages. I purchased the 6 x “D” size batteries and place them in the feeder and this step was very easy. 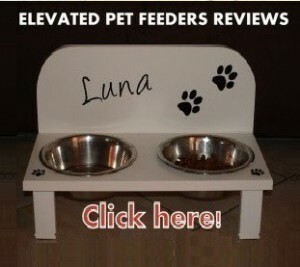 Now I have my feeder working at all times to ensure my cat will always have food in her bowl no matter what. 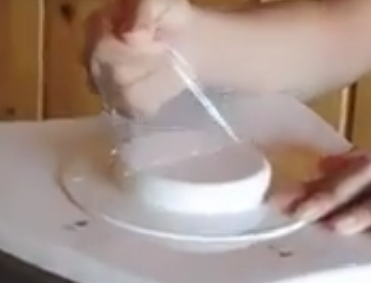 This step is easy and you just peel off the plastic sheet that comes protecting the lid. The lid has a very unique system that prevents cats from trying to open it and access the food. The lid’s locking system consists of a twisting lid that gets locked by two tabs, each on one side that goes through indentations on each side. Once you twist the lid, it gets locked. Only human hands can unlock this lid. This part is the simplest. The food tray has two tabs that you need to insert into the slots. When you do this make sure to push it down firmly until you feel the tray touches the surface. Before attaching the food tray to the feeder you will notice that the Pet Feedster has two short “legs” in front, one on each side with a hole on them. 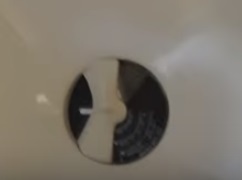 These holes are there because if your cat is aggressive and you think he or she might want to tip the unit over, you can attach the whole unit into a heavy piece of lumber or something similar to give the feeder more stability. 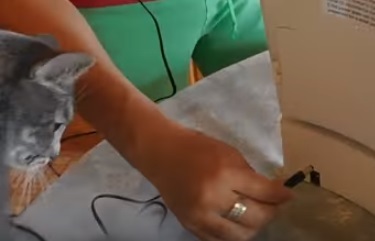 My cat Sophie is a good girl so I don’t need to do this, but you may want to consider attaching the unit to a strong surface if your cat is a little aggressive when it comes to food. I thought this step was going to be hard for me because I am not very handy with tools but it ended up being very easy because the feeder comes already with pre-drilled holes so it’s easy to screw the screws. All you need is a screw driver and that’s it. 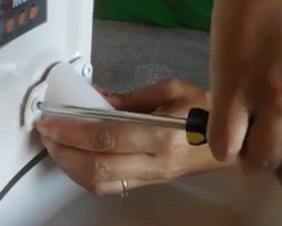 When you screw the screws make sure to do it tightly, because if you don’t the protector won’t be completely attached to the feeder and when the food comes out it will fall underneath the protector, not through it. 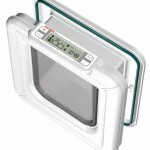 Before inserting this piece into the Pet Feedster you need to adjust the size of the kibble your cat eats. 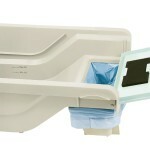 The Flex Feeder comes with 3 sizes, small, medium and large. You need to twist the top piece a little to choose the size you want and leave it on the line of the size you chose. 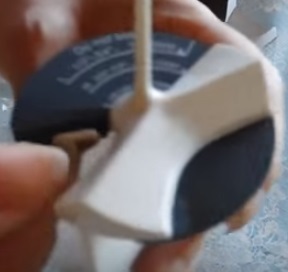 To do this you need to pick a piece of kibble and measure it making it go through the opening created by the Flex Feeder and if the kibble goes through easily, this is the size you need to choose. Once you choose the size you twist the bottom part of the Flex Feeder tightly so the piece gets firm on the chosen size without moving. In my case I picked the size medium, even though the kibble that my cat eats went through the small size, I did not want to take a chance of the kibble getting stuck so I chose the medium size. You can do the same. The easiest step, make sure to put enough food to make the unit work. When plugging in the feeder, plug the feeder first and then into the electric outlet. Now the Pet Feedster is ready to be programmed. 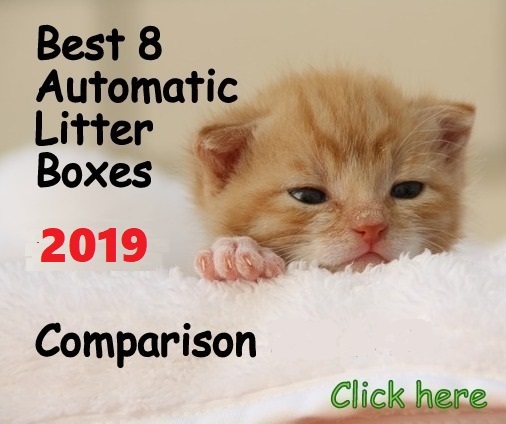 The good thing of this automatic pet feeder is that once you program it you don’t worry about loosing all the programming if you unplug it or change the batteries. This is excellent because who wants to be re-programming the device all the time? I don’t. 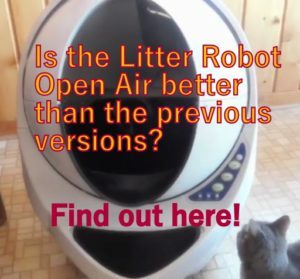 To make things easier for you I created a video of the unpacking and assembling of the Pet Feedster. 1. Obtaining the # that Represents the Meal Size: With this step you will obtain a number which represents the amount of food you want your cat to eat at each meal. To do this you need to have a measuring cup under the feeders chute and push the button”ADJ” for the feeder to start dispensing food. Once you get the desired amount in the cup, push the button again to stop the feeder from dispensing and take a look at the number shown on the LCD screen. That number or “adjustment unit” is the number that represents how long it took the feeder to release the food and it equals one meal. Write that number down. In my case I had a 1/4 measuring cup and the number I obtained with the 1/4 cup full was the number 5. As I wanted the same amount of food for Sophie to eat each time, this is the number I used to program the feeder for all her meals. If you want your cat eat a different amount of food for each meal, let’s say, big breakfast and small dinner, you just measure different amounts each time and write down the numbers. In this case every meal will have a different number or “adjustment unit”. 2. 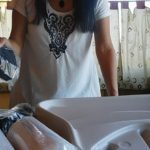 Programming # Meals and Hours: You have to program how many meals you want the feeder to dispense in 24 hours and what time each meal will be dispensed. When programming the feeder make sure to set the appropriate time because the timer is 24-hour based (military time). A chart with equivalences is provided in the User’s Manual. To program the feeding schedule you need to push the “MODE” button for 3 seconds to get to the “FEEDING” menu showing on the LCD display, then push “NEXT” button, and push it again to get the hour of your 1st meal blinking. With the button “ADJ” you increase numbers of the hour and with “NEXT” you go to minutes. After you set the hour and minutes you push “NEXT” again to get to the number that represents the amount of food which in my case is number 5. With “ADJ” button you chose the number 5. 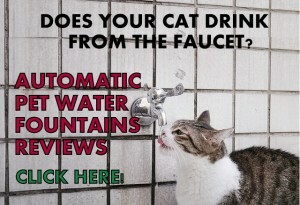 Do this step every time for the meals you want for your cat daily. 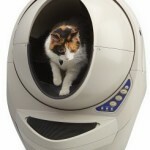 I must say this is a sturdy solid unit and its accuracy is good when you adjust the unit properly to the kibble size. My cat eats small kibble and the meals are consistent. 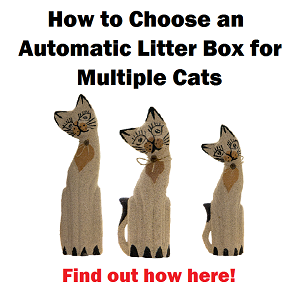 Now I will be able to go on short trips without worrying about my cat not being fed on time. 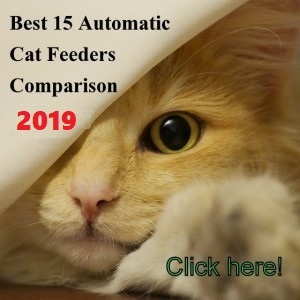 I could’ve got any other automatic pet feeder to use with my cat but I am certain I did the right choice with the Pet Feedster, I have been investigating a lot and I knew this was the best option to feed my cat dry food. I hope I was helpful for you on the setup of your feeder. Bye for now!